Bit of a change of scenery. I decided to take a trip to a local stillwater today and try out a couple of new swingtip rods that have been stashed away for a few months. The weather was ideal with no wind and overcast so I put one rod out with a prawn and the other with a big lobby while feeding a line close in with maggots. 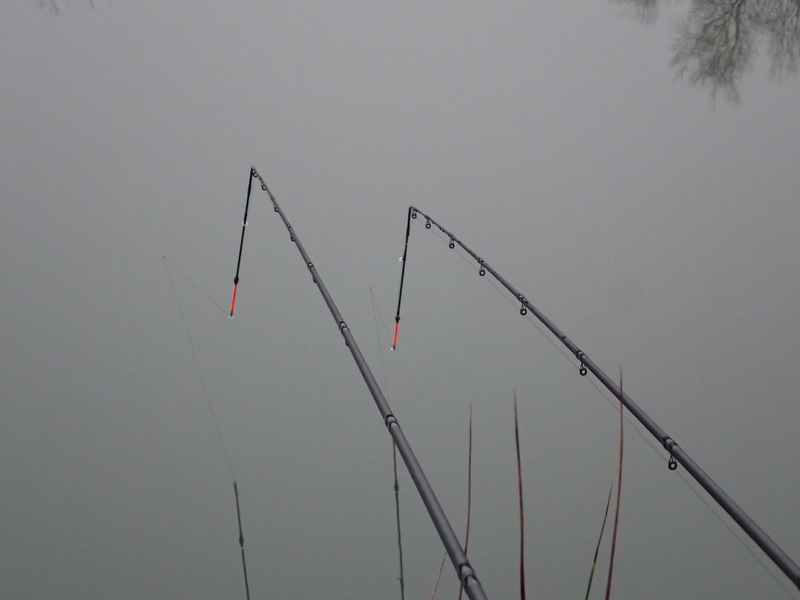 I had also taken the pole with the hope of catching a few small Roach to use as deadbaits. 1.9 – A refreshing change from perch. The swingtip’s stayed motionless all morning with only the occasional line bites so I decided to try the pole on the line that I had been feeding. I started off about 4 inches off the bottom but couldn’t buy a bite. It’s funny how in perfect conditions you struggle for a bite. I had a play around with the depth of the float before I started to get bites with the bait on the deck. For every 3 bites I managed to hook 1 fish and before long I’d bagged a few decent Roach but unfortunately they were all too big to use as deadbaits. 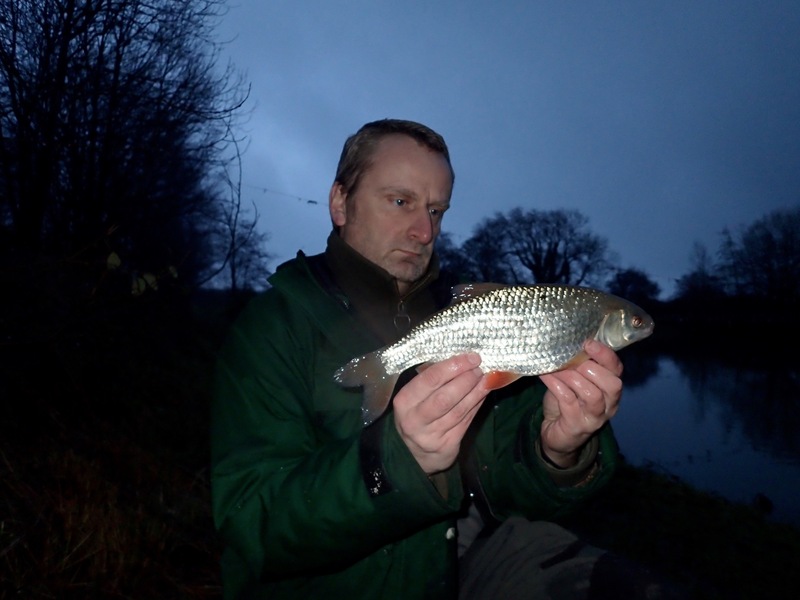 I then hooked into a better fish which turned out to be a Roach weighing 1.6. It gave a good account of itself on the pole and after that fish the swim died.